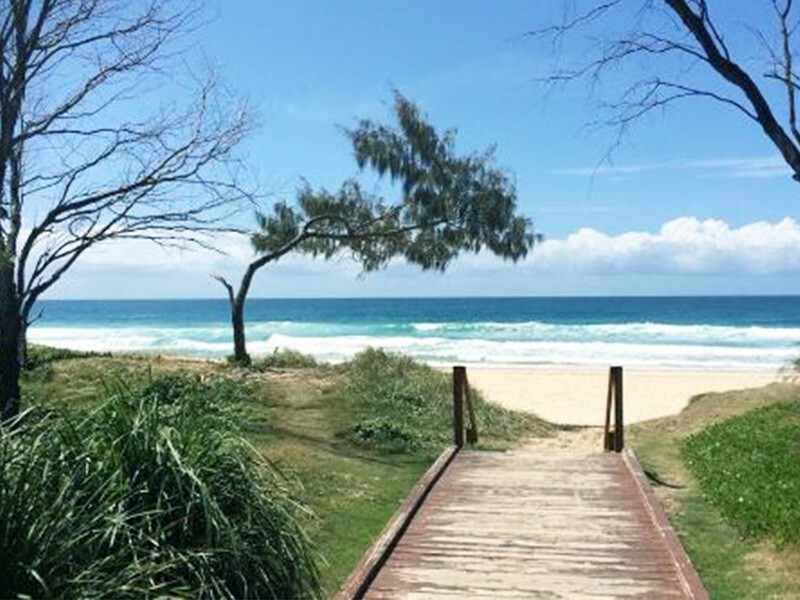 Broadbeach has long been one of the most popular regions of the Gold Coast to holiday, and for good reason! It has everything. Broadie, as it’s fondly known, is the dining mecca of the Gold Coast with array of restaurants, cafes, patisseries, and taverns that would impress even the most cultured foodie. The famous golden sand beaches with thundering sapphire waves adorn the shores, and are lined with dutiful lifeguards watching swimmers enjoy beach bliss safely between the red and yellow flags. 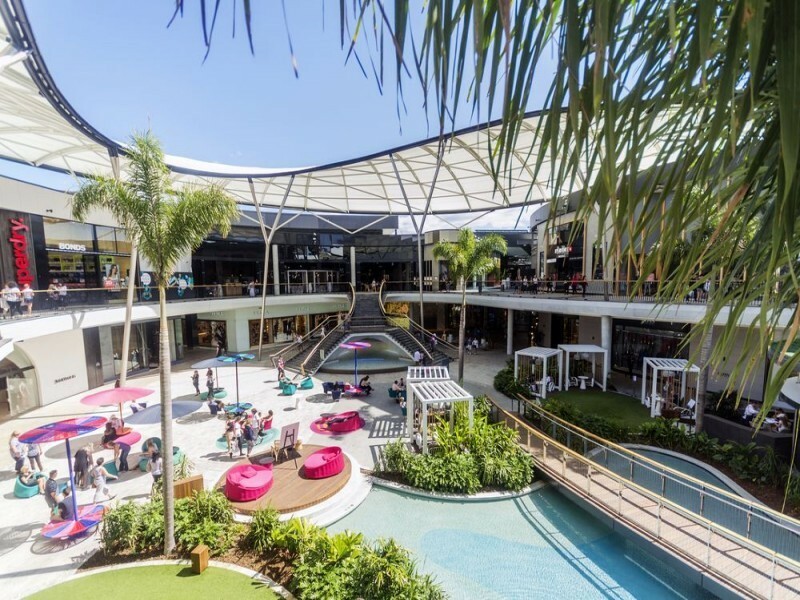 World class shopping awaits visitors and locals at Pacific Fair, Oasis Shopping Centre, and the Broadbeach Arts and Crafts markets. You can find everything the heart desires from Oroton handbags, to round beach towels, to a nice new pair of havis. Not to mention Broadbeach is home to both Jupiter’s Casino and the Gold Coast Convention and Exhibition Centre meaning entertainment of all varieties is in no short order. Even with a list as impressive as this, Broadbeach maintains a chilled-out, beach culture that radiates classiness. For those that appreciate the finer touches when getting away, look no further than the newest contemporary apartments to hit the Gold Coast, Synergy Broadbeach. 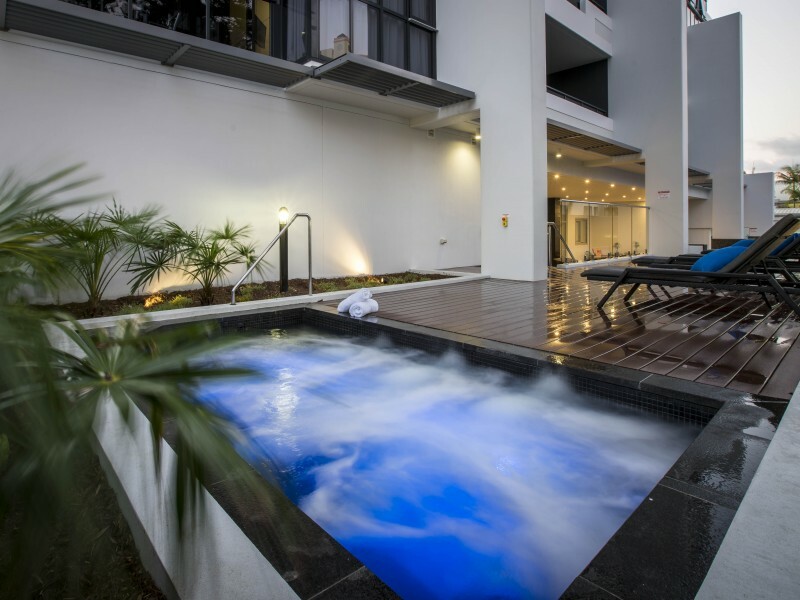 This 4.5 star resort is well located in the heart of Broadbeach meaning once you arrive, you will have little need for a car or taxi as the resort is walking distance to restaurants, shopping, Kurrawa beach, and the Broadbeach North light rail stop, located directly outside Synergy Apartments linking you to the rest of the Gold Coast. Inside the resort you have your choice of 1, 2, and 3 bedroom apartments that are fully self-contained and feature air conditioning, full kitchen facilities, laundry, and cable TV. 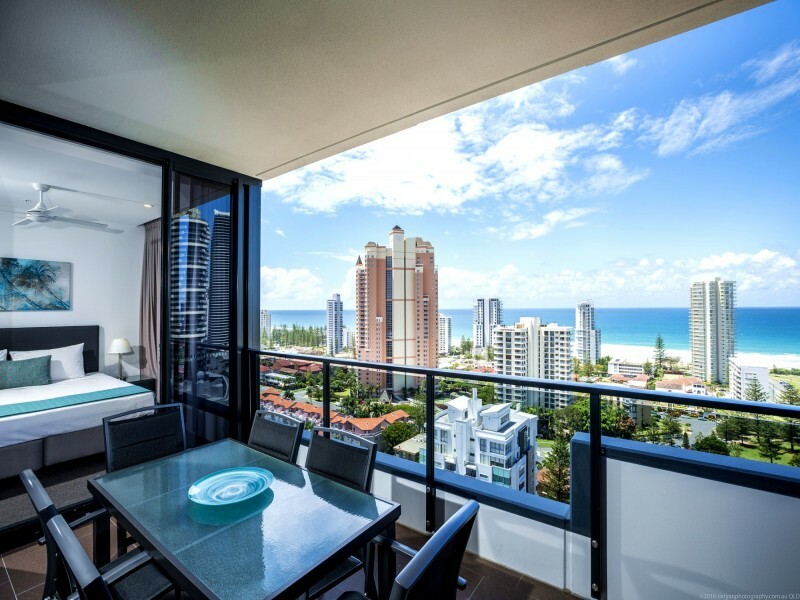 You can expect new, modern furnishings such as HD TV’s and European appliances, as well as a balcony or courtyard with garden, hinterland or ocean views perfect for relaxing and soaking up the Broadbeach ambience. You will want to check out the pool area, which is heated all year to the perfect swimming temperature, and is adorned with a spa and entertainment area with well kept barbeque facilities atop a large deck with inviting lounges situated in the perfect spot for evening snags by the water. For the fitness fanatics you can keep up with your routine with the gym, or you could take advantage of the beach and walkways with a sightseeing run or walk. One of the most popular aspects to Synergy Broadbeach is the luxurious apartment style accommodation. As well as being modern, clean, and sophisticated, the appeal lies in the space. It is so much easier to getaway and have bedrooms for privacy, a kitchen to prepare meals to enjoy in the comfort of home, laundry to wash the sand out of your swimmers and make sure you don’t run out of clothes! Where you are holidaying in a couple, family, or with friends, it is much more pleasurable to have the comforts of home and the luxury of a 4.5 star resort. And this is just the highlights reel! 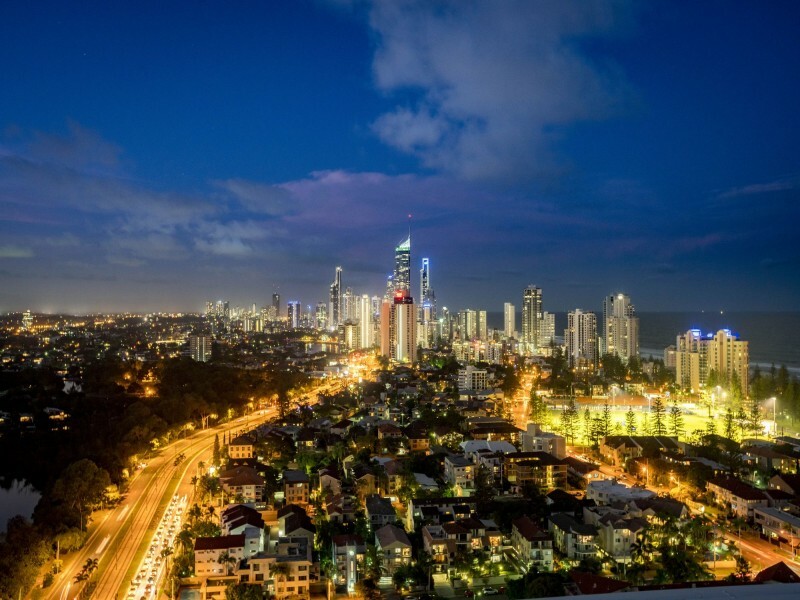 Check out Things To Do In Broadbeach for more inspiration. Or speak to your own personal holiday consultant at Discover Queensland on 1300 788 553 when you’re booking your Synergy Broadbeach escape.